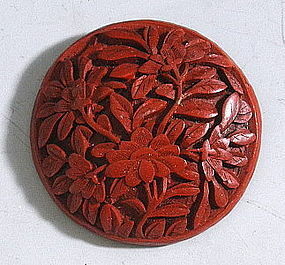 Beautiful hand carved Chinese cinnabar button. In excellent with the only lacquer loss on the backside, it measures 1.5" in diameter. Dates pre 1910.